Magnus is a cold-rolled, heat-treated, medium carbon steel strapping that provides high tensile strength and excellent shock resistance for the heaviest-duty applications. Color: Maroon, Also available in Blue, Yellow, Green, etc. Keeping the diverse requirements of customers in mind, we are instrumental in providing PET Strapping Tape. Our company has achieved milestone in offering PET Strap to the clients. This product is manufactured by experts using quality approved material and sophisticated technology, in sync with international norms of the industry standards. PET Strap is rigorously tested on various measures to meet set standards of quality. 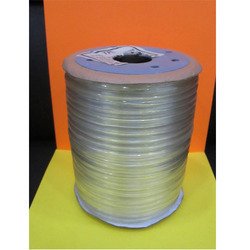 Our company has earned accolades in offering Filament Strapping Tape to the clients. 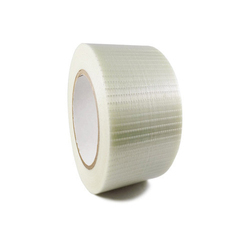 Filament Strapping Tape are designed by making use of quality material under the supervision of vendors. These products are available in various finish widths, thickness as well as various length options as per specific needs of customers. These Straps Rolls are available in varied lengths and dimensions. They are strong enough to handle physical stress and are manufactured by supreme quality raw materials. They are well acknowledged products and have rendered best services to the clients. Straps Rolls are used for the packaging of large boxes, cartons and many other similar materials. Our reputation in the market is largely attributable for trading and supplying PET Strapping Tape. - For different strapping work. We have carved a niche amongst the most trusted names in this business, engaged in offering comprehensive range of PP Strap Tape.